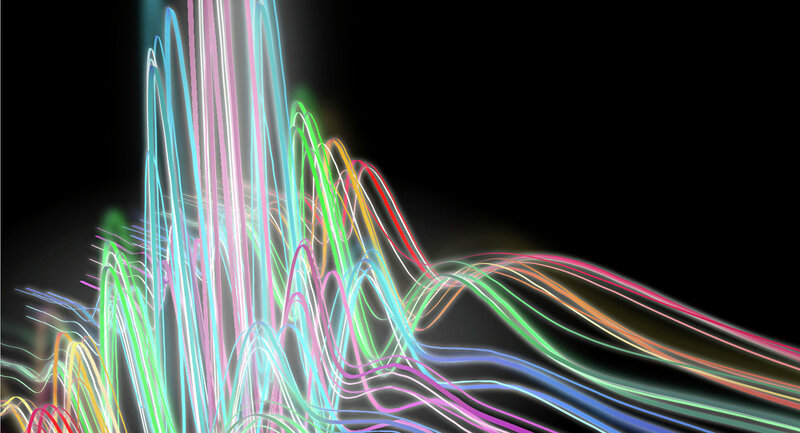 Arbitrary wavelength generation is a fundamental challenge in modern photonics. The present solutions are based on exploiting the effects of nonlinearity in optical crystals and fibers. In their article for Photonics Research, the authors showed that one can smoothly convert the laser emission wavelength by using photonic crystal fibers with a variable diameter of the central channel of the fiber. The researchers state that lasers emit in a narrow spectral band, which is predetermined by the properties of the environment. In order to obtain red or green emission, researchers either have to create a new kind of laser or convert the existing laser emission wavelength. These technologies impose fundamental limitations on the range of tuning and the minimal intensity of the radiation, as these processes are associated with high levels of noise. "We wanted to find a solution that would not have the disadvantages of the existing approaches, and would be simple and efficient at the same time," said Roman Yegorov, assistant professor at the Tomsk Polytechnic University's Research School of High-Energy Physics. "We created a fiber laser that generated pump laser pulses with a central wavelength of 1.04 micrometers and a duration ranging from one picosecond to 50 femtoseconds. The radiation was channeled into tapered photonic crystal fiber (PCF)." Photonic crystal fiber is a special class of optical fiber that has a hollow core (where light is guided) surrounded by a cladding of microscopic holes — hollow, or filled with special material. By readjusting the lateral dimension of the fiber structure and finding the proper fiber material, scientists can apply pump pulses of different duration and intensity to obtain a broader spectral range. These were the properties that the scientists made use of. By changing the power and duration of the pump pulses, researchers easily controlled the balance of nonlinear and dispersion processes inside the fibers. The output of the laser had low signal-to-noise ratio, and the laser wavelength could easily be tuned over the 420-560 nanometers range, thus covering most of the visible spectrum, Yegorov said. "It is known that the methods of spectral conversion of radiation are very energy intensive," Yegorov said. "We instantly reached a CPA of 1 to 2 percent, even though we focused on the bandwidth rather than the energy of this tuning. This means our approach has a potential for building up the energy efficiency to at least the level of other popular methods, but, at the same time, lacks the fundamental disadvantages of these methods." Today, lasers with continuously tunable emission wavelength are in very high demand in laser microscopy, including bioimaging — the method that allows researchers to visualize the microstructure of living tissues using special agents. These agents light up upon the application of radiation with a certain wavelength. This is why researchers need a method for fine tuning the laser source spectrum to a certain contrast agent. By analyzing the patterns of fluorescent contrast agents, researchers can obtain a detailed picture of a living cell, which cannot be visualized otherwise. Further development of biological objects' internal structure visualization methods is one of the priority goals for both biology and physics. Studying biological structures at the microscopic level allows researchers to identify the principles and mechanisms of living organisms' functioning. These methods have a wide range of possible applications, which include a number of relevant areas, such as embryology, neurobiology, oncology and many others. Tomsk Polytechnic University (Tomsk) participates in the Russian federal 5-100 Project. It is aimed at forging fruitful cooperation between universities and their industry partners. This project funds relevant scientific research and strives to increase the scientific and research potential of Russian universities. The list of the project's major goals includes increasing the academic mobility of researchers, exchanging students with universities abroad within the framework of internships, and conducting research together with international scientific organizations.